Another year, another ‘Best of’ list. 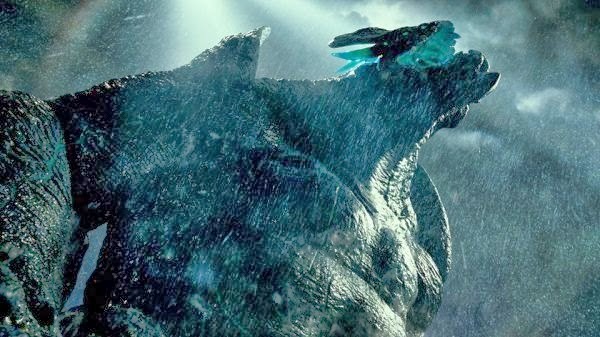 I’ve found there’s a common phrase that turns up each year which is: “This was the worst year for movies in recent memory.” To each their own, and I’ve personally never agreed...until now. Not that there was more junk than there usually is, but there wasn’t as many amazing films for me in 2013. Especially since 8 of my films only came out in the last month and a bit: I was scared there for a while. I certainly love and stand by the films listed below, but outside of these, there was little for me to look forward to re-watching. As per usual, these 20 films represent my favourites and not necessarily the best. I saw 105 movies this year, and this is the cream of the crop (yes, I stand by Pain & Gain and Man of Steel). There were only 2 that I never got to see which I regret: The Grandmaster and Philomena. Honourable Mentions: Saving Mr. Banks, Side Effects, Short Term 12, Elysuim and The Conjuring. Randomly, from the director of Rain Man, comes this found-footage horror flick. An infection in the water breaks out in a small town in Maryland. Anyone exposed to the water for long enough develops rashes and other gruesome symptoms; not to mention an outbreak of larvae and parasites. A standard horror premise, but executed with a fantastic atmosphere by a professional director who takes his first plunge into horror. It also takes a refreshing approach to the found-footage genre and explores the story from all angles by using every single type of ‘recording’ of the event; much like a research journalist would. A charming little film about a daydreamer who finally gets the courage to go out and have an adventure. It is certainly a film with flaws as it struggles to find a tone for the first 20 minutes, but after the gimmicky ‘daydream’ sequences are done with, and our character finds his footing in reality, so does the film. 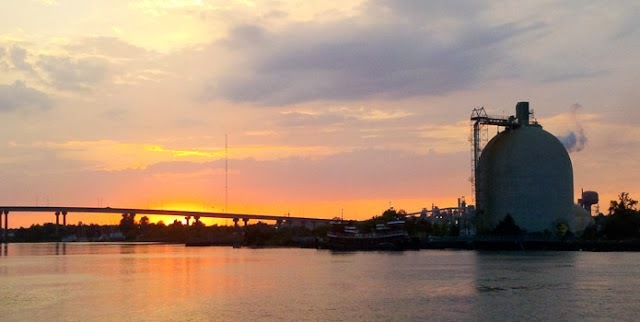 From there on out we explore a lovingly appreciation of the world and life around us. Stiller masterfully composes beautiful shots and genuinely sweet moments that amount to an ode to exploration. Also, the first time I’ve ever liked Sean Penn. A documentary aimed very squarely at film nerds, and no one else. Keanu Reeves interviews numerous filmmakers about the use of traditional celluloid film versus the use of digital cameras in today’s film world. The debate rages on as both sides provide numerous pros & cons. As with any good documentary, Reeves gives us equal treatment of both sides of the argument. It is also certainly enlightening of an issue which is as much aesthetically relevant as it is financially. The icing on top though, is watching loads of filmmakers (Boyle, Cameron, Chapman, Fincher, Linklater, Lucas, Lynch, Nolan, Pftister, Rodriguez, Scorsese, Soderbergh Trier, Wachowskis) arguing very frankly over what’s best. I’m not sure if this is a guilty pleasure, or it truly is great. Regardless, Michael Bay is known for making terrible movies and terrible filmmaking decisions. But in his latest work, we find him making fun of his own style...albeit ironically since I’m sure he doesn’t mean to. This movie chronicles the true story of a trio of body builders in the early 90s who thought they were clever enough to get away with kidnapping fraud. This is a comedic look at these unfortunate events, and is fascinating in that it outright mocks these buffoons. In previous and surely all future Bay films, he relishes in making his characters perfect specimens of testosterone, masochism, homophobia and general ‘coolness’. What makes this one film different is that all this is still present, yet instead of glorifying this style of life, he condemns it. It is incredibly satisfying to watch these characters get their comeuppance. Plus, an added bonus is that this the The Rock’s finest and most comedic performance to date! One of the most ingenious documentaries ever conceived, it’s a shame it is so depressing and chilling. The Indonesian government was overthrown in the 60s by a military group which enlisted Death Squads to quell the citizens. Today, the leaders of these squads are much older and are free to walk about without persecution for their crimes in the past. This documentary follows a handful of these mass murderers and gives us an insight into their minds. How is it that they can still walk about with a clear conscience and in doing so, mildly influence the youngsters around them? What makes them tick? The filmmaker decides to approach this by asking these leaders to reenact their past atrocities in various mini-skits. Some choose to perform a musical, some choose a gangster film, some choose improv in the streets. But whatever means they choose, we get a clear, disturbing window into their minds. Some even come to realize their horrible past only just now in doing this. We essentially watch them condemn themselves in the performance, like a self-guillotine. A shocking and disturbing film that will bring you as close to a serial killer as you’ll ever want to be. On the bright side, there were also delightful children’s movies released this year! Both with beautiful animation as expected. Both with amazing shorts before the movie (The Blue Umbrella & Get a Horse); I’d argue each is better than the films. Both have great music. 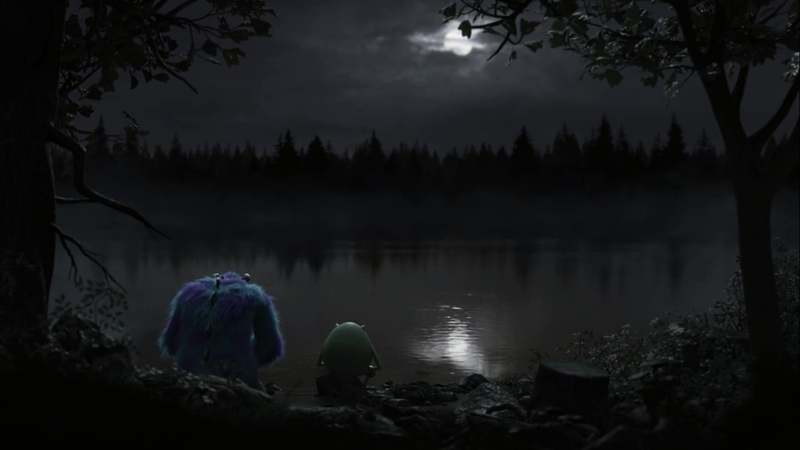 Both honour their past films: Monster’s Inc. and the 90s Disney musicals. And both are just a lot of fun. They’re also complimentary because I feel Frozen falters a little in it’s third act, whereas Monster’s steps it up a few notches in it’s last act (it stands strong as one of Pixar’s finest 15 minutes). Together they could have made an amazing film! This tie is apt due to the qualities and faults that these two heavy-hitters share. 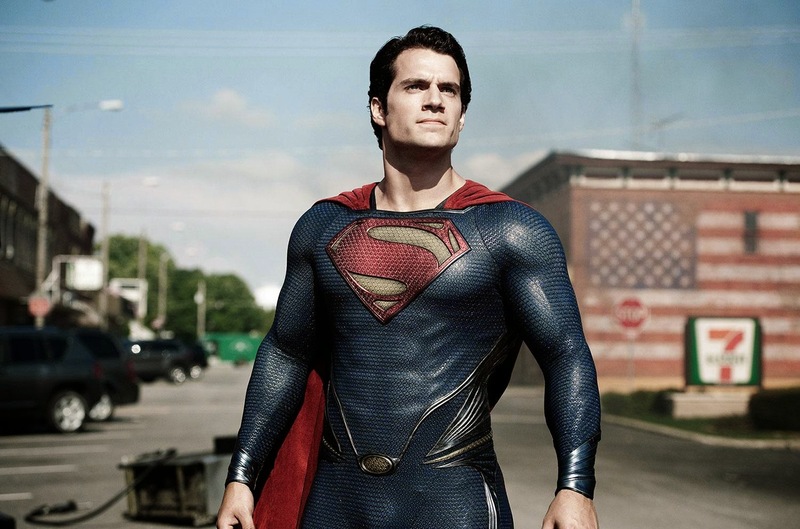 I realize I’m one of the few remaining defenders of Man of Steel, but I don’t care. I love these type of popcorn movies. Or at least the 12-year old blockbuster fan in me loves these. Both of these epic movies are just that: Epic. There’s huge spectacle, big explosions, kinetic action, a hero to save the day and a great sense of scope. Yes, the script for Man of Steel is bloated and tries too hard to sound smart, and the script Pacific Rim boasts almost no character development, but that’s not why I watch these. Both of these get action right. The cinematography is breathtakingly glossy in MOS, and refreshingly pristine in PR. Zimmer has produced one of my favourite scores of his for MOS, and PR boasts an actual rocking main theme that you just don’t hear anymore these days. Each film also has some of my favourite action sequences in recent memory: the Smallville brawl and the Tokyo showdown. I don’t care if these movies are ‘dumb’, I’m here to be entertained and watch supergods, giant robots and godzilla-esque monsters do battle! The Coen brothers can (mostly) do no wrong. Their latest outing still has their trademark oddball characters, some dry humour, an everyman’s hero-journey and beautiful attention to detail. But this is also a tragic tale for any artist or aspiring musician. Llewyn Davis is a folk musician in the New York 60s folk scene and this film chronicles a week in his life as he pursues his creative endeavours. Amidst a dreamily-lit washed-out world, Oscar Isaac’s performance as Llewyn is both heartfelt and heartbreaking. His character is constantly in search of a musical goal, but it is never defined for himself. This, coupled with his refusal to conform and being an overall jerk results in a tragic journey. A little too depressing for me to love, but this is a finely crafted film about being an artist who’s held back by your own undoings. That’s right a third documentary on my list. 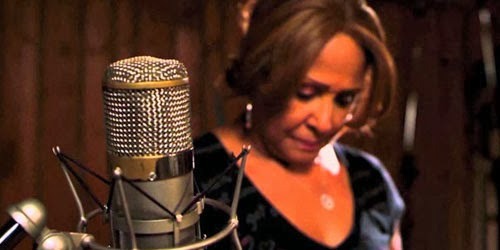 This is the story of the largely unknown, but largely heard backup singers of the 60s and 70s. These were the women who helped design and perform hundreds of unforgettable harmonies and counter-melodies for countless Motown, blues, rock and pop hits. Yet, either through copyright issues, greedy musicians and producers or over-saturation of the market, virtually none of the ladies we follow in this documentary managed to succeed on their own right. The unseen stars of the era. There are certainly heartbreaking moments as we follow some of their trajectories, but it is also very informative and certainly passionate. Watching Merry Clayton listen to her original recordings on the Rolling Stones’ ‘Gimme Shelter’ is one of the most hauntingly magical scenes I’ve seen this year. 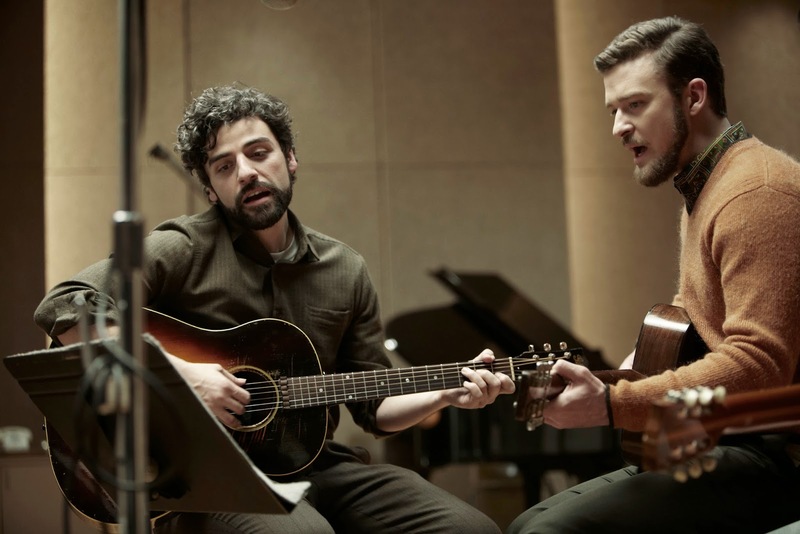 A great double feature with Inside Llewyn Davis about musicians who are relegated out of the spotlight. Albeit this one is much more hopeful and reaffirming. Woody Allen makes a lot of movies. The ones I actually like, form only a small percentage. Thanks to a great cast and a fun script, this one makes the cut. Essentially a remake of A Streetcar Named Desire with a little more psychoanalysis, we witness the downfall and clashing of the rich New York well-to-do Jasmine with her lower class sister during a mid-life crisis. The beauty of this film is in its range of emotions. In one scene we can experience the fun classic Woody Allen chit-chat and then quickly dip into psychotic moments of all too real arguments. Allen films the San Francisco setting serenely, much in the way he did with Paris in Midnight in Paris. But this is Cate Blanchett’s show. She is mesmerizing as this wreck of a life, but never over done. Every other single character is fully realized and each brings a load of pathos as a result of Jasmine’s torrid path of destruction. This is a tragic comedy about the exploration of regret, yet still very fun! If you ride like lightning, you’ll crash like thunder. Kicking off with an amazing long take, we enter an epic sprawling tale of men trying to do the right thing. The film covers four interconnected lives in a linear yet clearly separated 3-Act structure. It may feel long, but it’s necessary to give each character his own time to germinate. A wonderful ponderous tone helps keep the film consistent from start to end. We watch as the choices they make, trickle down through time as a result of family and circumstance. This is an engaging drama on morality and family, but it never feels preachy. In fact, the direction does most of the talking with the aforementioned long takes and sparse but thrilling action sequences. Quebec director Villeneuve’s first foray into Hollywood is a ‘cops & robbers thriller’ much like an episode of Law & Order; but obvsiouly much better and more competent. When a man’s daughter goes missing and believed to be abducted, the police follow a surefire lead, but it goes nowhere. Jackman, our distraught father, isn't convinced and decides to pursue the case on his own. The first clue that I knew I’d love this film is the pedigree. Villeneuve certainly is good, but 3 of my favourite actors are involved and giving it their all. Hugh the JackMan puts up his best work in a very atypical role for himself. Jake Gyllenhaal continues to prove his versatility with his jaded and beleaguered detective. And good ol’ Paul Dano once again, gets beat up in another movie, but he’s still creepily awesome. Another key player is the great cinematographer Roger Deakins who brings his unique sensibilities to a dark story, and sheds light in unique and fascinating ways. This is a twisting story drenched in darkness that plays and warps our perceptions of morality; continuously blending lines between victims and offenders. A sequel 9 years after the comedy classic (and my #4 all-time) was always wanted, but never thought to work; especially with this much distance between the two. But as far as I’m concerned, this is the best result we could have gotten. Sure, like most sequels, it takes things too far, but at least it maintains plenty of its own originality and generates equal amounts of laughs comparable to its predecessor. Taking a very loose plot with which to hang its gags on, we follow the Channel 4 News team as they join up again to...oh it doesn’t matter. All that matters is that we spend time and laughs with these goofballs. It’s a blast that is worthy of the original, and even though it suffers from overblown sequelitis, at least it is committed a full 150% to the outlandishness. Tragedy seems to be the theme this year with 7 of the previous films I mentioned being fairly depressing stories. This film is certainly no exception. One the highest quality films of the year and covering a very important topic, this is a shoe-in to take home the Best Picture Oscar. This is the true story of Solomon Northup, a family man living in New York who becomes abducted and sold into slavery in the southern US. A devastating story set against a harrowingly devastating time, this does venture into disturbing territory for Solomon; played by Chiwetel Ejiofor who puts his entire soul on screen. All of the actors deliver their best, Zimmer rings in another winning score, cinematographer Sean Bobbitt (also of Place Beyond the Pines fame) has fantastic outdoor imagery and director McQueen finally feels reeled in (I’m not a fan of his previous direction). But depression and brutality is not my style, and that is why this is only number 6. I’m not sure I can picture myself ever watching this again, yet it is definitely worth everyone’s time to watch. And...that concludes all of the depressing movies on this list. 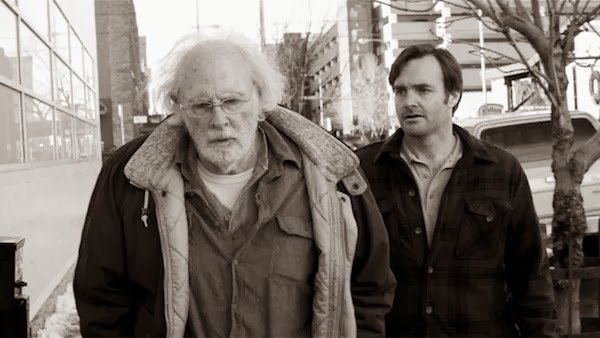 Directed by award season favourite Alexander Payne, Nebraska is another one of his quaint family stories infused with the perfect balance of light comedy and pathos. The film is shot in a blissful black & white to turn the mid-west into an even more serene landscape. And it is across this landscape that we follow octogenarian Woody Grant and his reluctant son on a road trip to claim a fake Million-Dollar Sweepstakes prize. Woody is convinced the prize is real and his son is convinced the only way for his father to find purpose in life is to go out and chase this dream. Along the way, they encounter old family ties as well as old ‘friends’ out to claim some of Woody’s ‘fake million dollars’. Bruce Dern as Woody is outstanding while balancing hints of Alzheimer's and stubbornness with senility, but never cloying. This is a sweet little film about family and it charmed the socks right off of me. I never thought a black & white film about a grandfather traveling across the bleakest US States could be so entertaining. Director Paul Greengrass is the master of his own genre: Hand-Held Intense Action Realism. His entries into the Bourne series and United 93 are some of my favourite films. He has now made another masterpiece I can consider to have that honour. 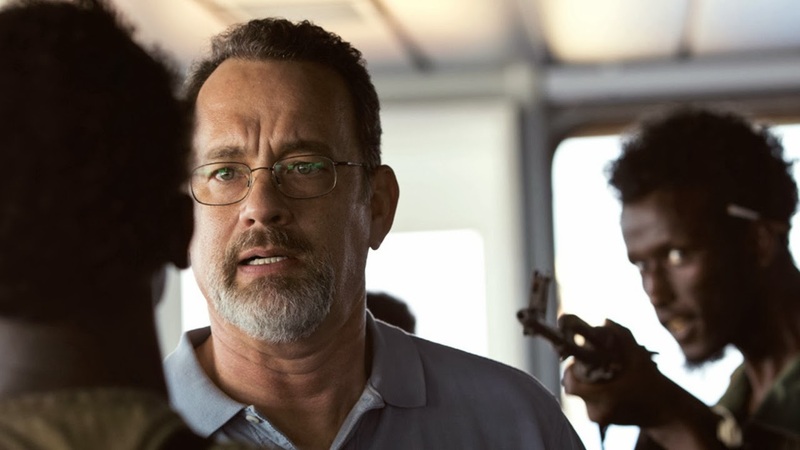 This is the true story of a US cargo ship that was hijacked by a group of Somali pirates and defended by the titular captain. Thanks to Greengrass’ in-your-face direction and his quick-cut editing, this is certainly the most intense film of the year. From the get-go, it never lets up. This is a relentless 2 1/2 hours hostage situation. The final act can be compared to the final act in last year’s Zero Dark Thirty, but I think this is a much better realized and purposely more emotional version. Grounding that emotion is my buddy Tom Hanks who delivers his career best moments in the final 10 minutes. The rest of the cast is populated by small character actors, but mostly non-actors for a true sense of realism. Most notably impressive is first-timer Barkhad Abdi as the main pirate whom we actually feel for. Just like United 93, we already know the outcome of the story, but Greengrass crafts a gripping procedural through this heinous event and you’ll be enthralled as you grip your armrests the whole way through. Morally, this is essentially the same film as Pain & Gain, but much more mature and exhilarating. 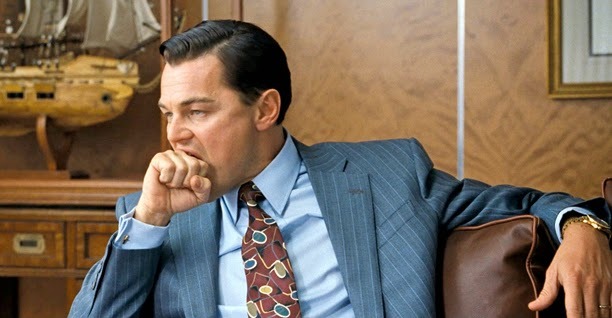 Leonardo DiCaprio stars in his greatest role and best performance to date as Jordan Belfort, a real man’s man who grew to be one of the richest and most corrupt stockbrokers in the late 80s/early 90s. There have been numerous silly articles about how this film is worshipping Belfort’s despicable behaviour, but those journalists are missing the point. Like it’s twin cousin GoodFellas, this is a film about morally duplicitous criminals who cheat to get ahead in life, only to have everything go wrong. After all, this film is based on real life, and if you have a complaint about how he gets his comeuppance, then you have only to blame the American government/judicial system; of which this film is a satire of. 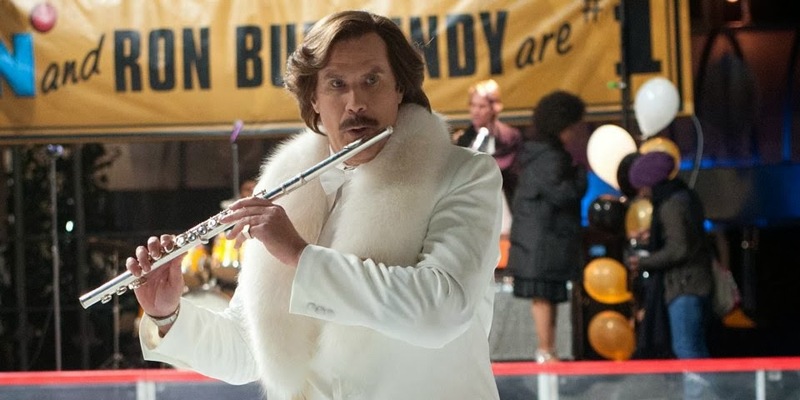 There’s a stand-out scene three-quarters through the film where Leo performs unexpectedly, the finest physical comedy in years, and if someone watches that and says, “I want to get rich and be just like Belfort!”, then they have their own problems. Aside from the useless controversy, this is one of the most energetic films of the year. 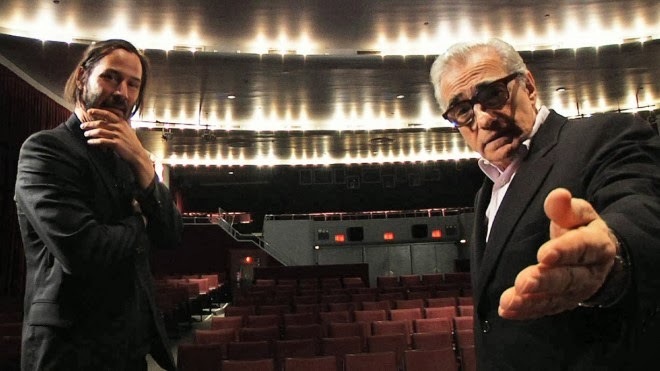 Scorsese still has it in him, and directs ‘the heck’ out a 3 hour film that feels like a roller-coaster hour and a half. Yes, it is a very very strong 18A film that is not for the faint hearted, but it is also hilarious. I can not overstate how amazing DiCaprio is as a testosterone-infused, morally loose, confidence guru, and I look forward to watching this angry-comedy for years to come! If you missed this in theatres, that’s your loss and you better hope for a re-release; and it’s not even necessarily for the 3D like Avatar. This is a beautiful IMAX-esque film that WILL transport you to another world, or rather above our world. 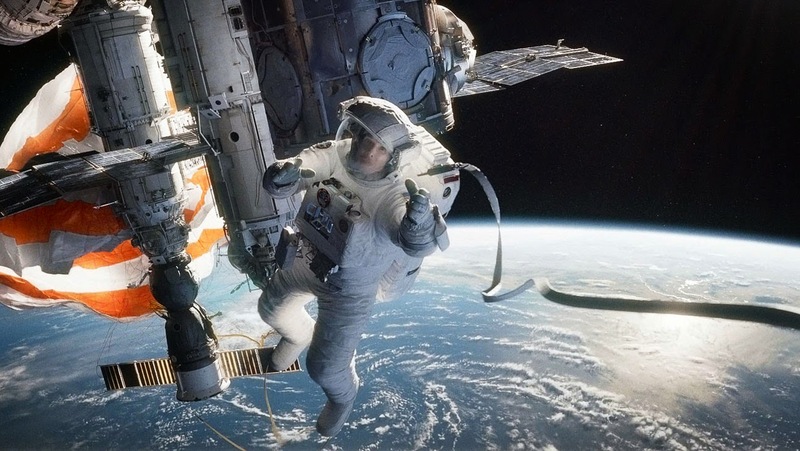 The simple story follows two astronauts who get caught in a storm of debris that destroys their shuttle. They then have to rely on their brains and courage to find their way home. Many people are complaining about the lack of development or progression in the story, but I find it refreshing and streamlined to better serve the thrilling action. In an action movie sense, we just want these guys to get from point A to point B. Several years in the making, this is Alfonso Cuaron’s (of Children of Men fame) outstanding masterpiece and science project. 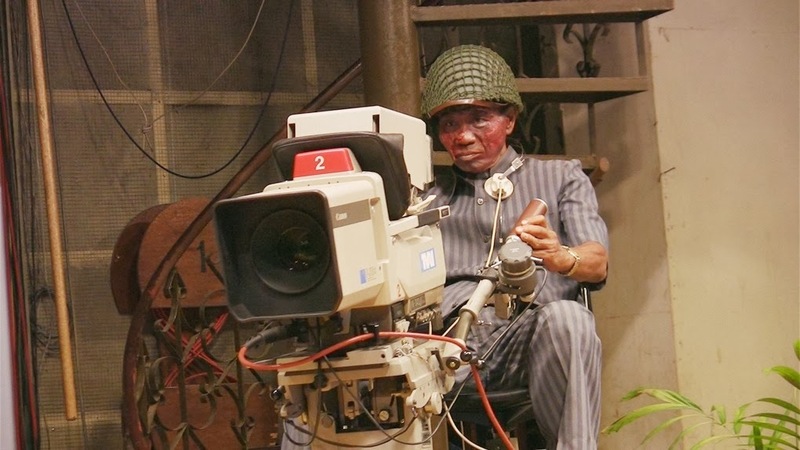 He spent years perfecting the technology to make this film and it shows. The visuals are spectacular, and I can’t wait to see the ‘making-ofs’ on the Blu-Ray. I honestly have no clue how some of these shots were made. Like Children of Men, this is chock full of long takes where the camera never cuts. Although it’s a little easier because special effects cover much of it up, the effect of being continually drawn in and never letting go is achieved. The opening shot itself (which is gorgeous) is a 17 minute continuous take. The editing, visual effects, cinematography and most definitely direction deserve every accolade it can get. Visually, this is my Life of Pi of this year. 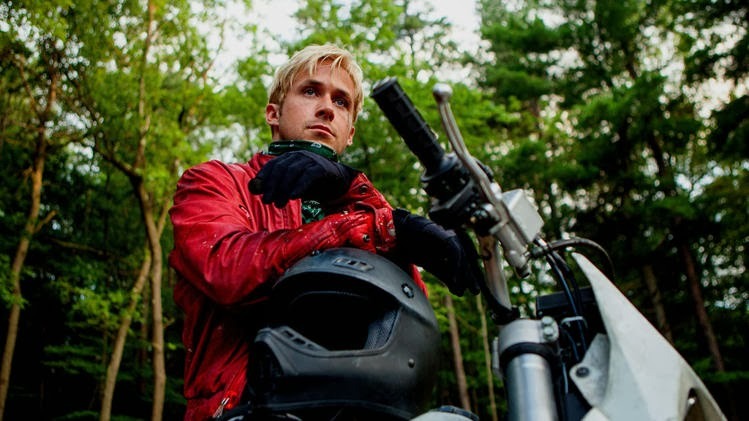 For me, the score takes this year’s Social Network/Drive award, for the coolest new-wave score. Clooney does a great job at trying to make you feel at ease and Bullock does a very good performance of being in peril the entire time, but I feel as though I’d be swearing a whole lot more! This is a must-see film and a technical break through that puts your stress levels to max and results in an incredibly satisfying trip into cinema magic. Just kidding. TV doesn’t count. But honestly, this 5-season show is one of the best movies of all time, it just happened to exist in TV format. 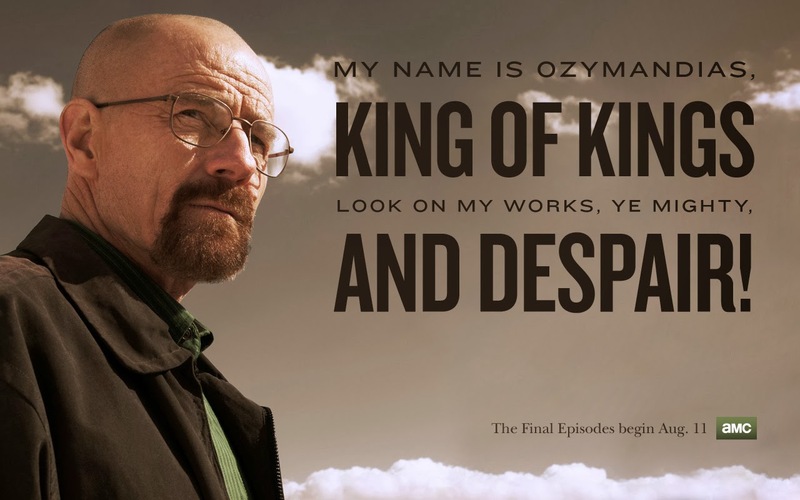 Thank you Breaking Bad for being the greatest TV drama ever. I’ve switched these top 3 magnificent films back and forth, but I landed here very confidently now. Especially after recently posting my All-Time Top 100 films on this blog, the film I can most compare Her to is my #1: Eternal Sunshine of the Spotless Mind. It is very similar in tone and shares many of the same qualities. Also, this has what most other great films this year didn’t have: Heart. 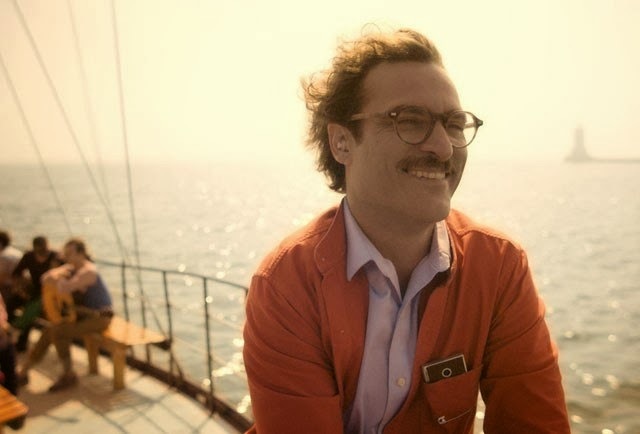 Written and directed by the always interesting Spike Jonze, this is a beautiful film about love and our desire for connection. More specifically, this is oddly about a lonely man in the near future who falls in love with his computer operating system once he discovers it has an advanced Artificial Intelligence. It sounds silly and the trailer wasn’t good, but Jonze and the wonderfully emotional performances by Phoenix and Johansson anchor this tale in your heart and fill it up to the brim. Yes, it does have things to say about our relationship with technology, but that’s only a side note. Jonze is more interested in creating a tone poem (like his Where the Wild Things Are) about love and everything that comes with it: companionship, camaraderie, marriage, divorce, the puppy-love phase, the arguments and the sexual moments. The latter of which, is why this is a 14A movie and it has resulted in many of the older crowd walking out within the first 15 minutes. But this is a gorgeously shot and realized film with beautiful set design in a fully realized world where every frame has meaning, even when he lingers on beautiful nothingness. He brings out many emotions and ideas that will stay with you long after. It’s food for thought about what a relationship means to you. It also fits perfectly into Jonze’s other works: Being John Malkovich covered everything about Identity, Adaptation covered everything about having a meaningful Life, Where the Wild Things Are was an exploration of youth and innocence and now he’s covering the human heart. A man of big ideas who likes to have us involved in his most personal thoughts. If this doesn’t take the Best Screenplay Oscar, I’ll eat my foot. This is also great date movie! A film I’ll return to again and again to get something different out of each time.